6 pm Skills: Squat Night! 27″ box jump. PR BY 1″. I decided to row 200m sprints instead of jumping. Fastest time was 50. Metcon 10:30 with 55#, step to 20″ box, banded pull ups with a tablespoon of kip for the first rounds and a cup or two for the last. 50″ Box Jump (that was my PR record from like a month ago). I will get 51 some day. 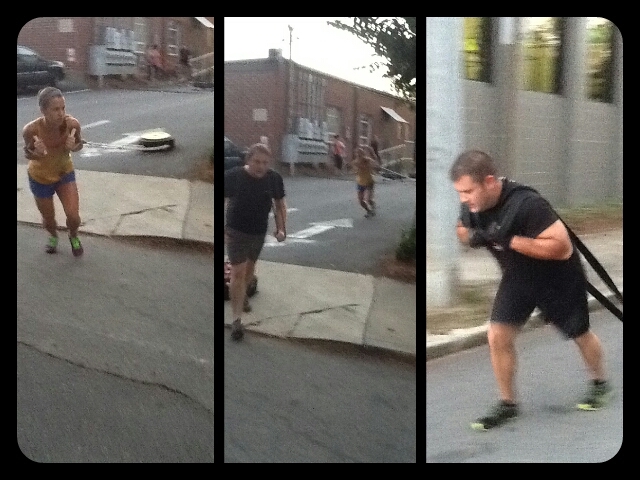 Did 200 m row sprints in lieu of jumping. Fastest time 43 sec. Made this up on Sunday. Ummm. It’s not Sunday. Made this up on Saturday 11/3.